Nyjer Seed (Thistle Seed), 50 lbs. Nyjer seed (thistle seed) is rich in nourishing oil and is perfect for drawing large numbers of smaller songbirds without attracting squirrels and larger birds. 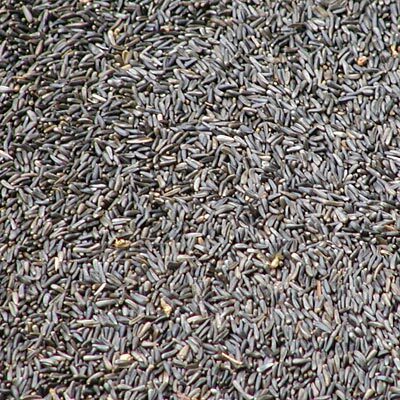 Nyjer seed is ideal for establishing a separate feeding zone for your small songbirds. Note: Packaged in a 50 pound bag. Nyjer Seed (Thistle Seed), 5 lbs. Nyjer Seed (Thistle Seed), 25 lbs. Wild Bird Seed Mix, Deluxe Finch Blend, 50 lbs. Medium Sunflower Chips, 50 lbs.